Nvidia’s RTX-series ray-tracing supporting graphics cards are still new on the market – and Nvidia has just updated a classic demo to showcase the new technology. 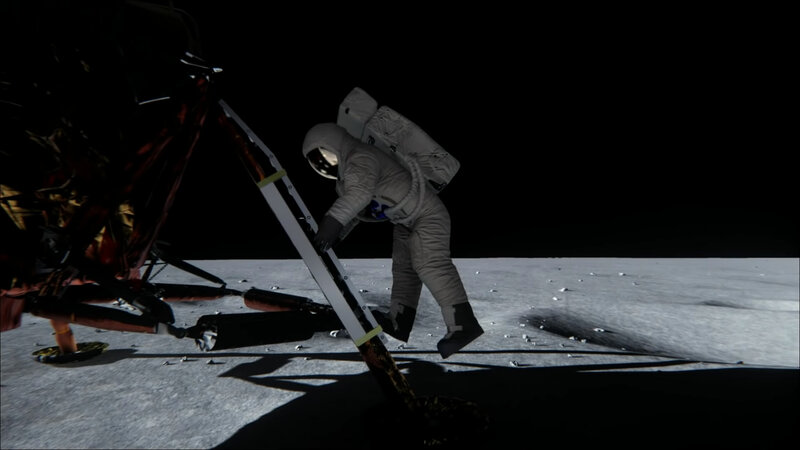 Nvidia first released footage of their Apollo 11 moon landing graphics showcase demo way back in 2014, with the demo at that point intended to both showcase the then-new Maxwell GPU architecture and also prove that despite games graphics coming on leaps and bounds the moon landing wasn’t actually hoaxed. It was a pretty cool demo at the time, if conceptually a little silly. 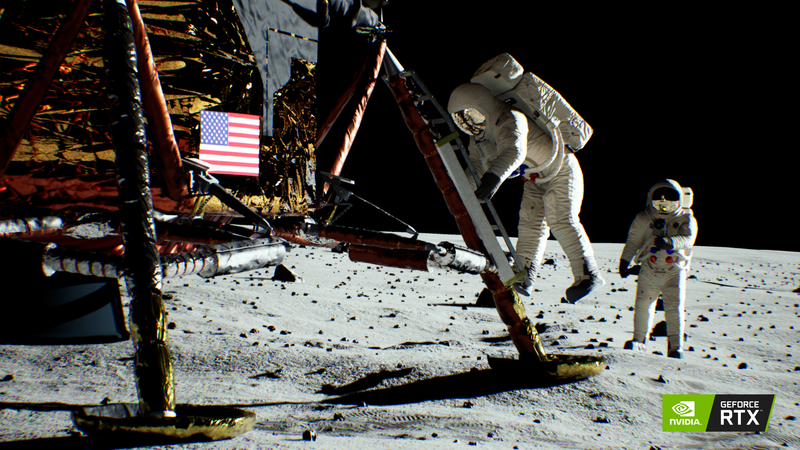 The idea of the original demo was to prove that the lighting in the moon landing hadn’t been staged in a studio setting – and that made it a natural candidate for an upgrade thanks to Nvidia’s new Turing architecture powered ray-tracing lighting technology. 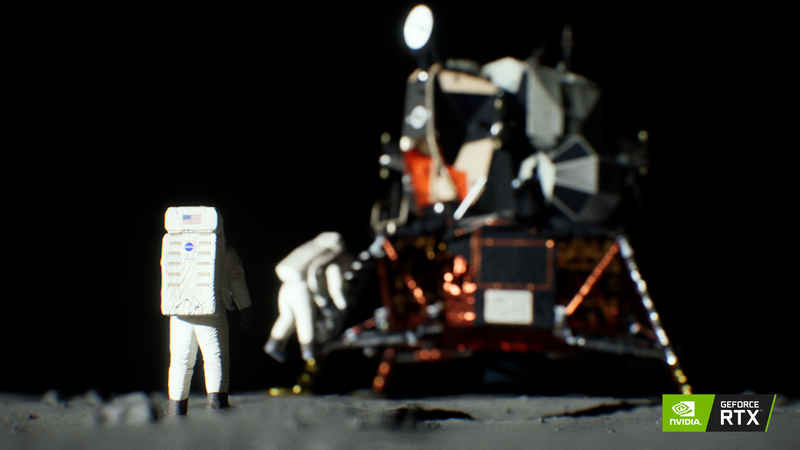 As is pretty obvious in the images, the addition of ray-tracing makes quite an impact on the demo – especially where the shiny, highly reflective surface of the Eagle, Apollo 11’s landing module, bounces back all that light. This is where ray tracing most shines, since it’s all about marking out the exact path a beam of light might paint, allowing games to paint more realistic reflections than ever before. Tech demos are all well and good, of course, and this one looks impressive, but it’s important to note that ray tracing is also now working in real games running on the new Nvidia GeForce RTX 2080, 2080Ti and 2070 graphics cards, which are now available. We’ve previously played a really impressive-looking Battlefield 5 demo with ray-tracing enabled and an intriguing showcase of how Metro Exodus will use ray tracing tech in its darkened, gritty landscapes. It all looks pretty good – and those two games are just a few of those that will support the tech going forward. 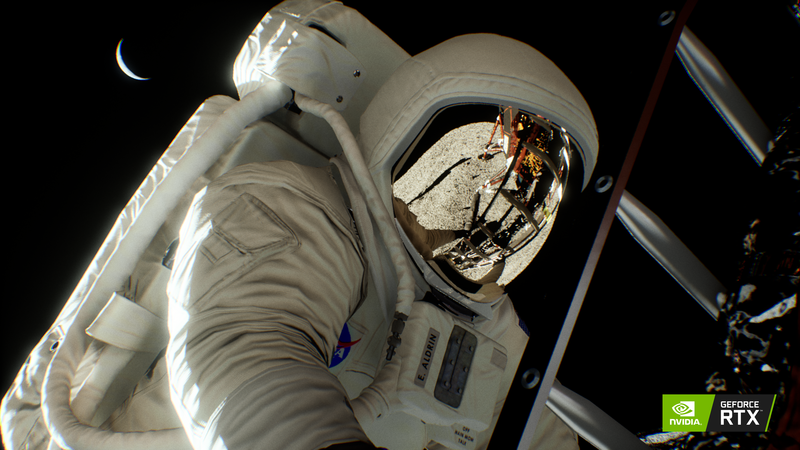 You can see Nvidia’s new Lunar Landing demo for yourselves above – and if you’re impressed, consider checking out our Nvidia GeForce RTX 2080Ti review for a little more information on why we think this GPU and its ray tracing tech is the future – albeit a very expensive one. If you want more on ray tracing, stick with us – as games with significant support for it launch, we’ll be back with comparisons and impressions, starting in earnest with Battlefield 5 next month.